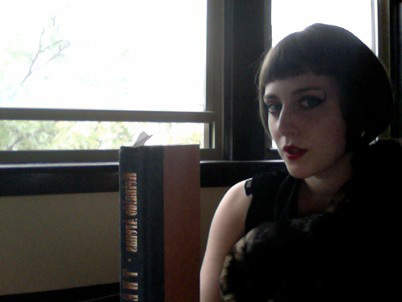 R+P is excited to present a Safety Book interview by Danielle Rosen (a.k.a. Patricia Rose)–author of The Institute for Species Systemization: An Experimental Archive, which will be released on October 1st!! 1. Could you tell us the name of a book that you love and why? 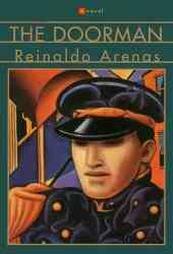 The Doorman by Renaldo Arenas (…particularly when read in conjunction with The Open: Man and Animal by Giorgio Agamben, but that relationship probably needs the space of a dissertation. It’s still worth noting the odd symbiosis.) It is a story of a true political revolutionary, but not without the poetry, play, breathtaking sensitivity and meaningful fictions that such narratives, once stripped to the bare bones of fact, often lack. Juan (the main character) is devastatingly optimistic about his ability to find the “true door to happiness.” A bored, wise orangutan, a persnickety dog named Cleopatra (who truly lives up to the icon, with sharp elegance, meticulous steps), Mr. Skirius, a man who systematically replaces his body parts with junky mechanical contraptions, and other characters play an integral role in Juan’s utopian pursuits. It is such a richly visual text with dark humor and a tragic ending, that in a very dramatic way, reinforces my fervent pursuit of a societal “door to happiness,” a portal that if we open ourselves up to others, allow ourselves to be caught in a wave outside of everyday busyness, we just might plummet into. 2. Where were you when you first read or saw or heard of this book? A friend recommended it to me and I have always liked Arenas’ work, but this piece is (to use her words) “a gem.” It is also the first book that Arenas wrote after fleeing to America from Cuba where he was imprisoned for “ideological deviation,” and his openly gay lifestyle. Those facts certainly influenced my reading. 3. Did this book influence your own writing, thinking, sense of the world or work? Sometimes being committed to ideologies and practices that are constantly being pushed aside as naive or faddish, utopian, unworthy of time, or even just far too difficult to be enacted, frankly, is very disheartening. Art is often dismissed as politically incompetent, detached from any meaningful basis in reality that isn’t about empty replication or simulacra. To a certain degree it is, but only because the power of content is being discounted or limiting assumptions are being made about what the function of art is or should be. (Particularly in America, or in capitalistic societies where people don’t have or take the time to participate. Where many work a few jobs or one very trying job, to stay afloat and go home to watch television because they are, understandably, inordinately, tired. Ai Weiwei is a real political threat but in a country with different politics and considerably less focus on the individual—which of course prevents and creates its own problems). Granted, sometimes art is an empty, fashionable, consumer driven endeavor (which is endlessly frustrating because it reinforces those harmful, and what I consider to be inaccurate (un)aesthetic definitions) and sometimes audiences aren’t doing their share of the work. But, Juan! Juan, works as a doorman, all the time. He doesn’t allow the fact that he is sapped and “dying from grief” to stop him from letting this need infiltrate his daily activities, to bring his ideologies into practice at any cost (including imprisonment in a psych ward, alienation, displacement). His job as a doorman and his pursuit of a more real door than any mechanism that caters to human practicalities, merge. So, this book was a wellspring to me, a reinforcement, a companion, and Juan, a compatriot. The tenuousness with which characters, objects, others, non-humans, and whatever ineffable air fills the space in this book are dealt, raises questions, like: What it is that we as human beings allow ourselves to be perceptive to and what classifications, simplifications, etc. attenuate that richness? For what purpose? Who are we serving? And if, like Juan, we are trying to find some middle space, how do we even begin to deal with the epistemological shift that implies? Mark Anderson because I know he will appreciate the nuances, hilarity and lush language of the Doorman. (Also to show him that he doesn’t need to worry about me because he “maybe… read catcher in the rye too late in life”). And Rescue Press, because we are in the same boat and its a really good boat to be in. Bio: Artist, hoping to affect my audience’s way of seeing. Find out more about the Institute for Species Systemization here. This entry was posted in Danielle Rosen/Patricia Rose, News, Safety Book. Bookmark the permalink.